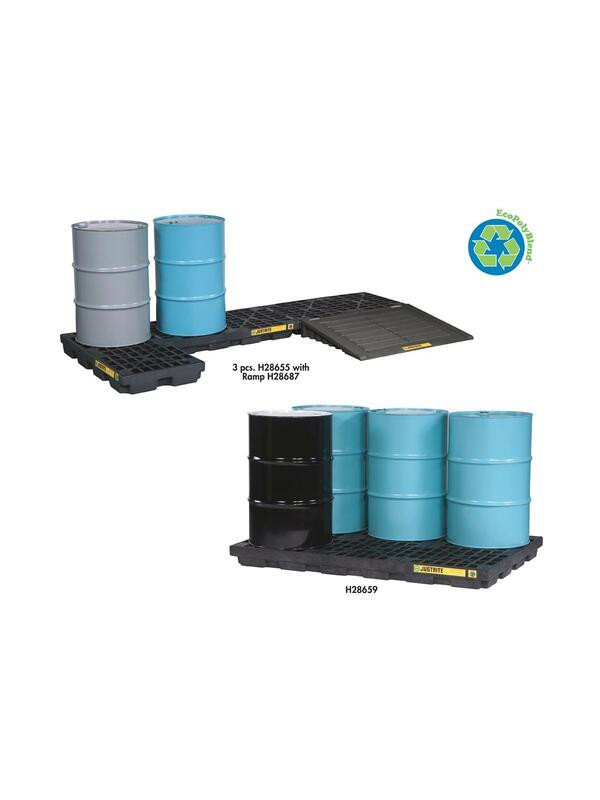 Eco friendly and economical spill control. 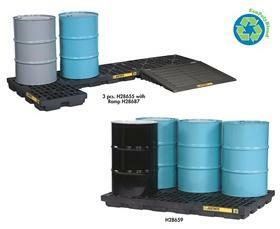 Black centers made of 100% post industrial recycled polyethylene, and yellow of 45% recycled content. Durable, low profile modular design offers the ability to create a custom system. Joining clips firmly lock units together and remove easily for repositioning. Sump-To-Sump™ Drain Kit allows for continuous sump to meet high sump capacity requirements. 6 and 8 drum units meet EPA, SPCC, NFPAI, and Int'l Fire Code. FOB Shipping Point. See Related Items tab for Options for Ecopolyblend™ Accumulation Center. 73 x 49 x 5-1/2"73 49 5-1/2"